Use the form below to contact accommodation Emeralda Ninh Binh Resort directly. 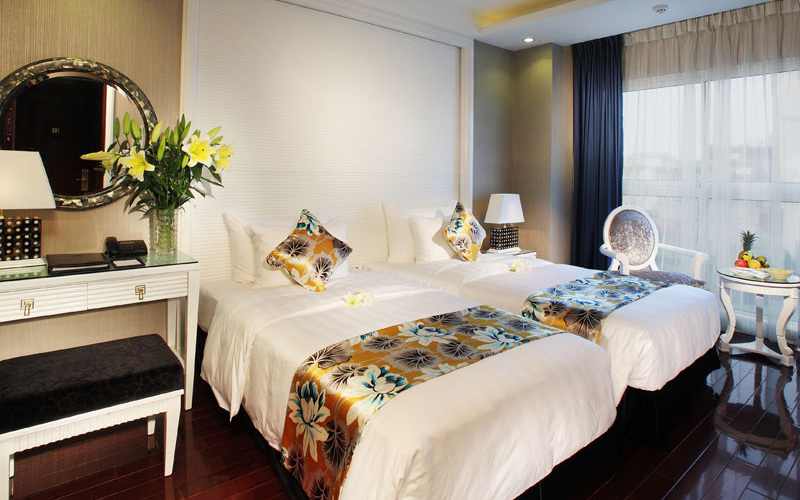 Two connecting Deluxe room, one with one king-size bed for parents, other with two separately single beds for your kids. Room features a bathroom with both bathtub and shower. Has a flat-screen TV with satellite channels, free newspaper and a minibar. Wired internet and Wi-Fi access are both free. Room offers additional space. All rates are inclusive tax, service charge and buffet breakfast. 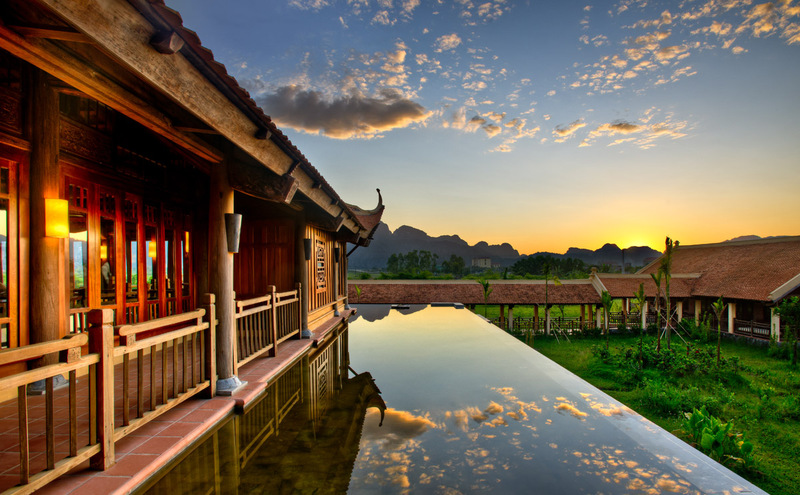 Emeralda Resort Ninh Binh is located in the first imperial capital of Vietnam, Ninh Binh. 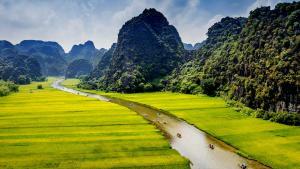 It is only 90km from Hanoi, and you will find a more leisurely pace of living. 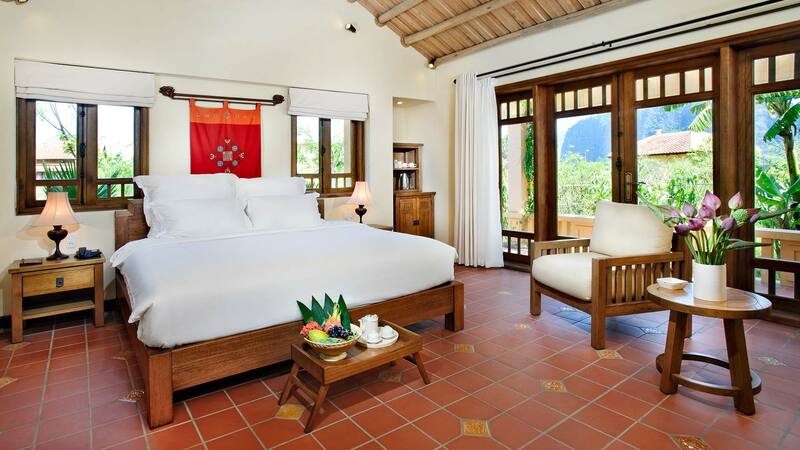 This property provides you unlimited relaxation with a sense of privacy along with the traditional Vietnamese village style. The resort also provides spaciously arranged rooms where guests can relax on a private terrace with the peaceful garden scene. The hotel is an ideal place for business meetings, international conferences, and team building sessions that offer convenient technology and modern audio-visual equipment. Emeralda Resort Ninh Binh provides many recreational facilities such as a spa, fitness center, as well as a swimming pool. Guests can take a bicycle ride to explore the surrounding attractions. This hotel offers excellent dinning choices at restaurants with a variety of healthy international menus and Vietnamese cuisine. 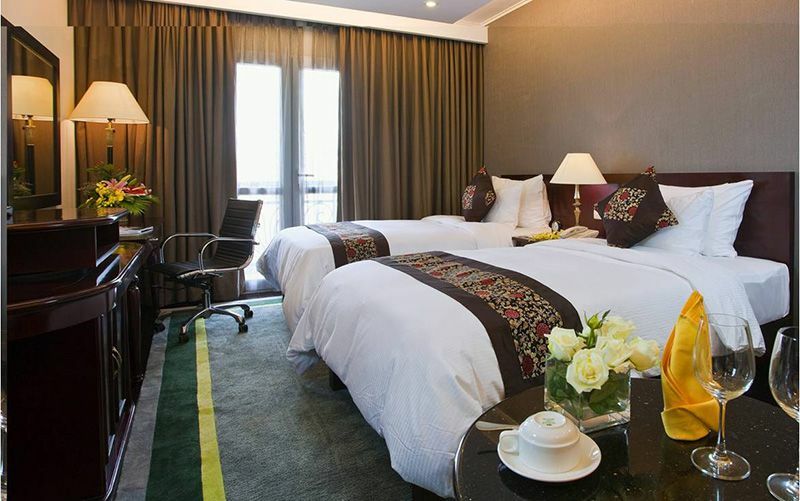 Superb facilities and an excellent location make Emeralda Resort Ninh Binh the perfect base from which to enjoy your stay. 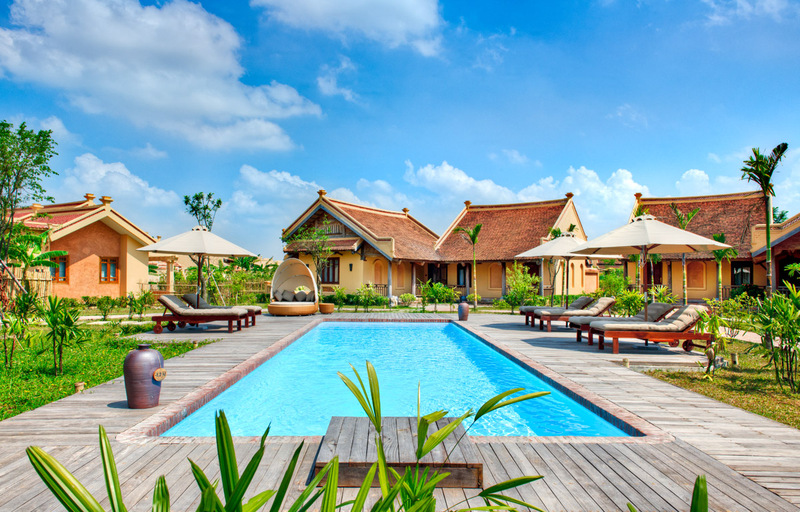 Located on the edge of the Van Long Nature Reserve, Emeralda Ninh Binh Resort offers spacious, villa-style rooms with free Wi-Fi. Surrounded by landscaped gardens, it features a spa, 3 swimming pools and 2 restaurants. 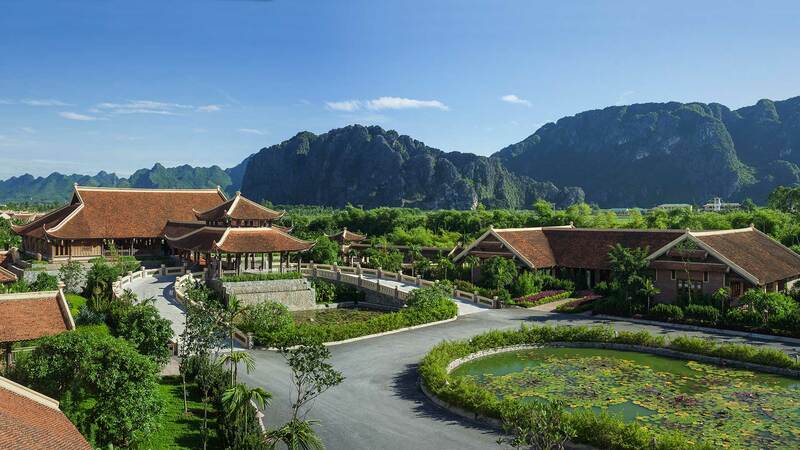 Emeralda Ninh Binh Resort and Spa is a 30-minute drive from the Tam Coc-Bich Dong caves. Cuc Phuong National Park is 30 km away. Please note that under Vietnamese law, a guest who is not a Vietnamese citizen cannot share a room with a Vietnamese citizen without proof of marriage to each other. Otherwise, a second room must be booked. Please note that pets are not allowed in this resort. Please note that guests must show identity card or passport upon check in. Please note that late check out: a half day (50%) charge is applicable for check-outs between 12:00 and 18:00, and a full day’s charge from 18:00 onwards. The resort is now providing Cluster with Private Pool with surcharge which will be arranged if guest require and subject to hotel availability (applicable for Superior Room and Deluxe Room only). Please take note in your special request if you want to stay in those clusters and the supplement will be collected at the resort upon check-in. Child 0 – 5 years old stays for free if using existing bed. Extra bed is a cot and is subject to availability. Child from 6 to 11 years old sharing the existing bed with their parents in Superior and Deluxe room will be charged. Child from 12 years old or extra adult will be charged applied for Superior and Deluxe room. Extra bed is subject to availability. All children are welcome. Free! One child under 6 years stays free of charge when using existing beds. Free! One child under 2 years stays free of charge in a child's cot/crib. One child from 6 to 11 years is charged USD 10 per person per night when using existing beds. One older child or adult is charged USD 40 per person per night in an extra bed. The maximum number of extra beds/children's cots permitted in a room is 1. Supplements are not calculated automatically in the total costs and will have to be paid for separately during your stay.